Modular Sofa. Wooden frame with elastic straps, with pad in expanded polyurethane, upholstered with feather mattress. Backrest feather cushions upholstered in cotton. Seat feather cushions with insert in expanded polyurethane, with differentiated density, upholstered in cotton and heavy cotton. Feet in metal, powder coated, with antiskid ferrule. Elements upholstered in completely removable fabric; elements upholstered in leather with cushions having removable covers and structure with non-removable covers. Backrest cushions ready for being fitted with a headrest adjustment device (the device is optional). Sofa beds with electrically welded spring and orthopaedic expanded mattress. 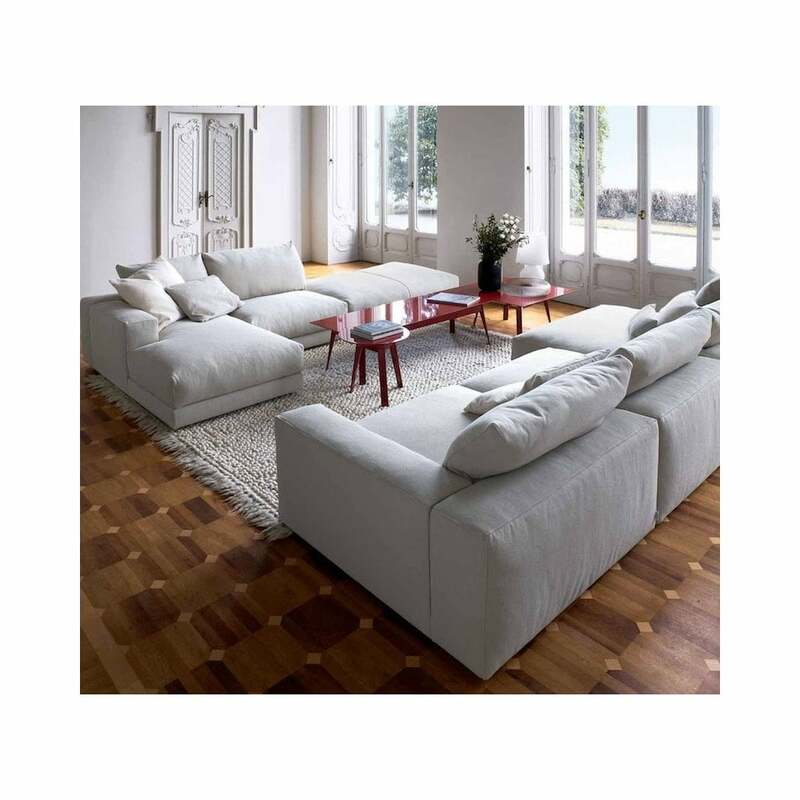 Relax sofas with mechanism enabling seat cushions to move forwards. The Hills project starts out with one of those large, comfortable sofa models and revamps it in a way that is more plastic and sculptured. Swan have focused our design energies on defining its soft lines and generous proportions. Available in a wide range of modules for various groups, please contact us for details. Comprises of: OHL173, OHL100 and OHL150.